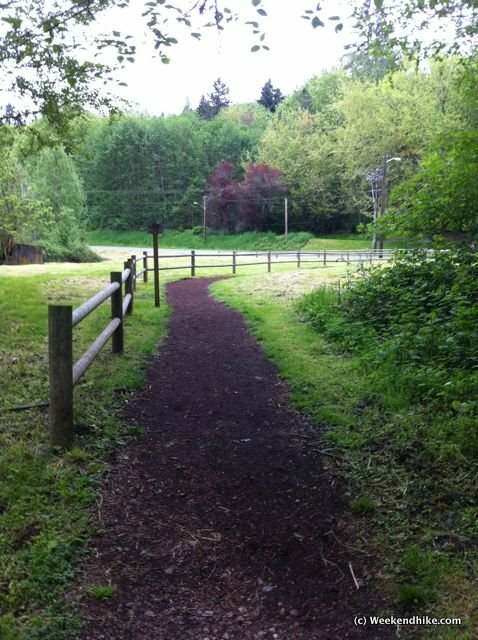 The trailhead of this hike is located right off Coal Creek Parkway between 405 and Newcastle. Its a small dirt parking lot which fits about 6-7 cars. This first part of this hike can be popular on weekends, the upper part of the hike is less crowded. 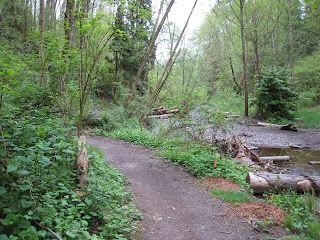 In 2007-08 there was alot of winter damage in the Coal Creek Park, you would see lots of knocked over trees and erosion around the trail. Most of the damage has been repaired - logs cleared, new bridges built, etc. The hike starts out very close to Coal Creek. After leaving the trailhead you can hear the parkway for a while, but soon it fades away as you get deeper into the park. The trail is very well packed and seems well traveled over the years. 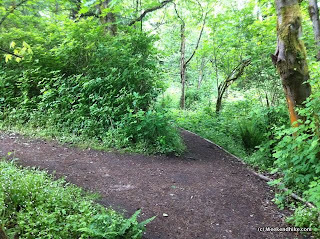 The first half mile is very enjoyable and is mostly flat - making for a nice creekside adventure. At about .3 mile you will meet the intersection with the Forest Drive Trail. This is an access point for those reaching Coal Creek from Forest drive and the local Bellevue trail system. The old damaged bridges have been replaced with new wide bridges over Coal Creek. After the bridge the trail becomes very forest-like, and less creekside. The area is full of deer, birds and small forest animals. The trail becomes fairly narrow at this point. Another new bridge is here -- along with the old bridge next to it. The primrose trail is closed and is not accessible as an alternate trail from the Coal Creek trail. 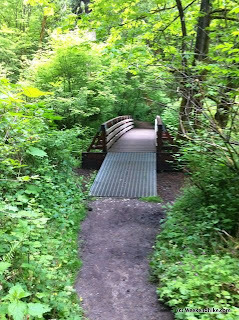 Past the Primrose trail, the route follows an old railroad road. 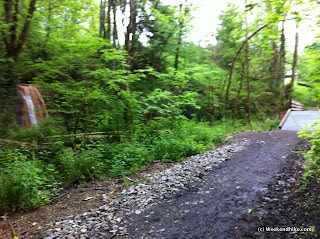 After passing a clearing and a slight uphill, the trail continues along the old railroad path. 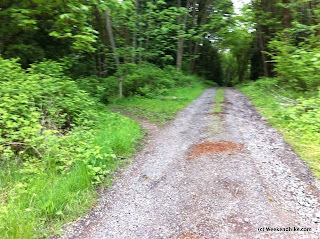 After this point you will reach a gravel access road. This is another unmarked intersection, continue straight and slightly uphill. The Coal Creek trail continues off to the left - there is a sign at this intersection. 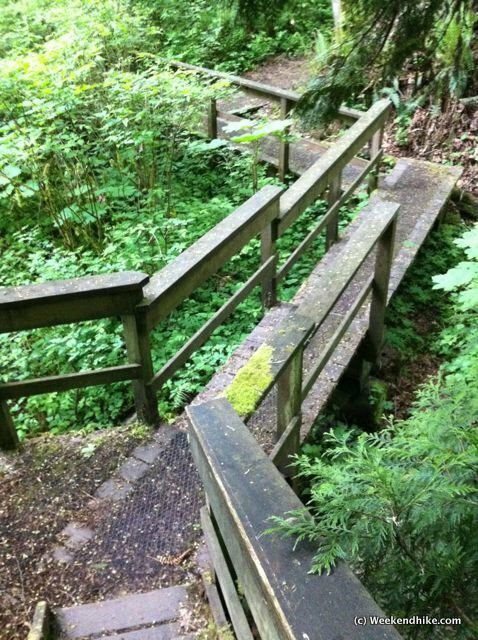 The trail narrows for a while and continues on a very cool stair/bridge built over one of the small streams. 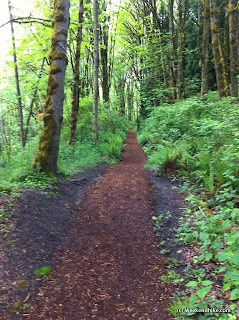 After a short distance the trail has been much improved with a cleared and mulched path. 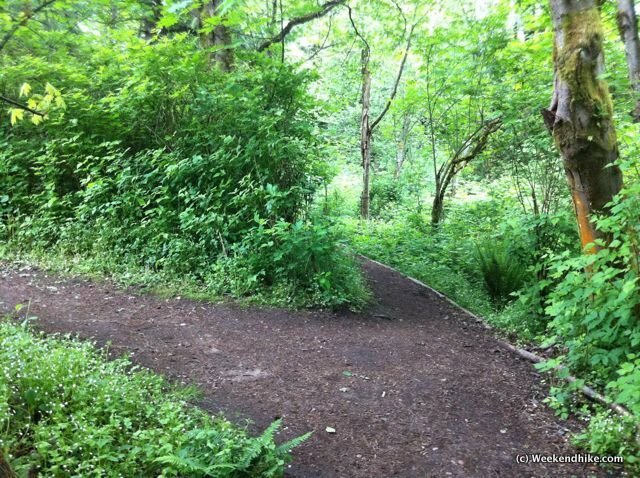 Be on the look to the right for a old railroad turnaround -- its not just a cement landing in a clearing, but shows how the area was used in years past. 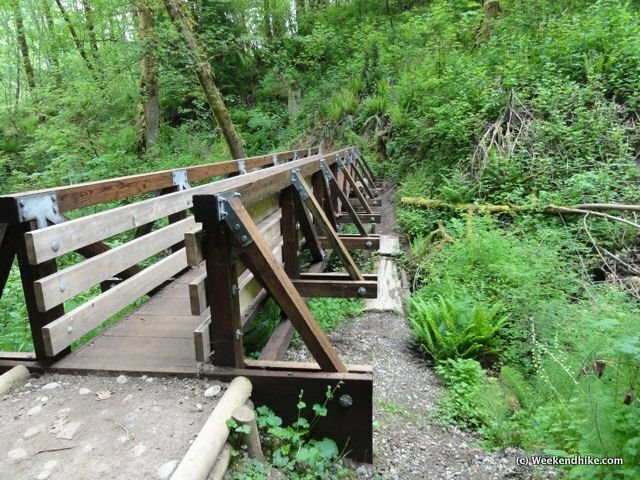 The trail passes the North Fork Falls with two new viewing areas to get up close. After the new bridge, the trail splits - you can take either route to reach the coal mine shaft and informational sign (now moved next to the cave). 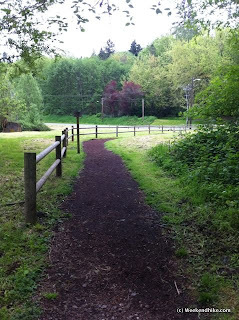 The trail continues up to a meadow area that is across the street from the Red Town Trailhead which serves Cougar Mountain and its great trail system. 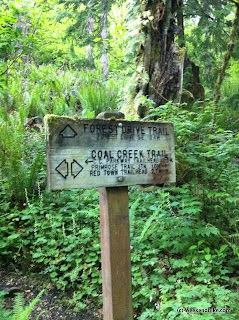 To return to the Coal Creek Parkway trailhead, simply turn around and re-trace your route back down. The elevation change is only 460 feet, and there are no steep hills. 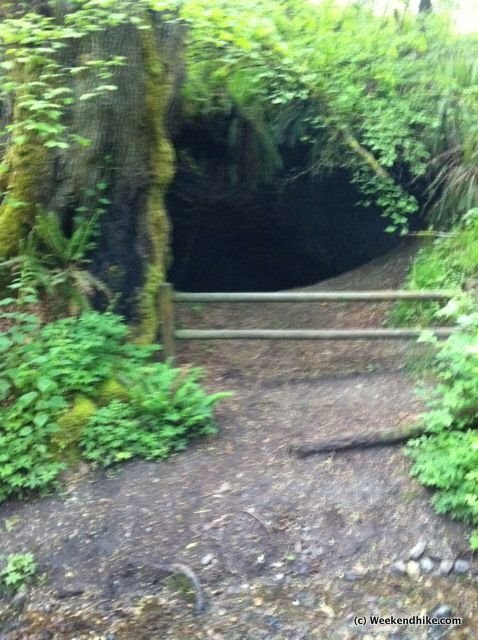 Its a very nice creekside hike for anyone. Trail - Trail varies from single track to gravel roads. A couple good stops along the way. Getting There - Take I-90 to Coal Creek Parkway - head east. 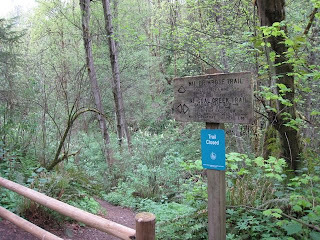 The trailhead is on the east side of the road before you reach Newcastle. Other Trails - Only real connecting trail on this hike is closed. 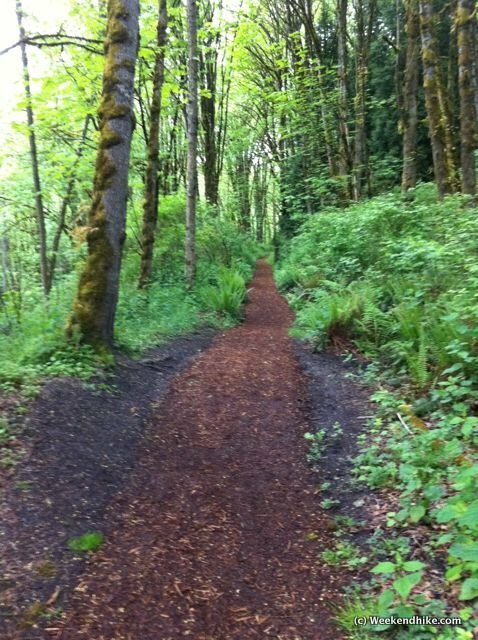 This hike does lead to the Cougar Mountain trails system.